The Sisters of Sound comprises of 6 people and a dedicated sound engineer. Ciara & Jenni D (yes, they are sisters) on lead vocals with Darren on keyboards/piano and vocals, Dave on guitar and vocals, Declan on Bass and vocals and Jim on Drums and percussion. 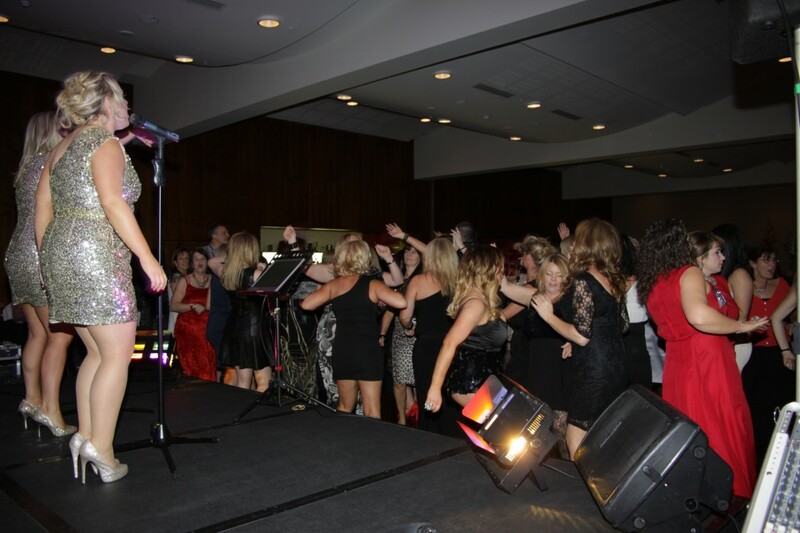 All members of the Sisters of Sound have many years experiance in weddings and corporate functions and come with a large repetoir and catalogue of songs that caters for all ages and tastes in music. THE SISTERS OF SOUND – Irelands finest Wedding Band consists of full time professional musicians with many years of experience, coupled with their passion for music and attention to detail that does not go unnoticed. Not only are we available for any occasion as THE SISTERS OF SOUND, but we offer so much more to suit your every musical need. An unforgettable Show comprising of a FULLY LIVE 6/7 Piece Band including 2 female vocalists, with non stop hit after hit, from the 60’s right up to current chart toppers.